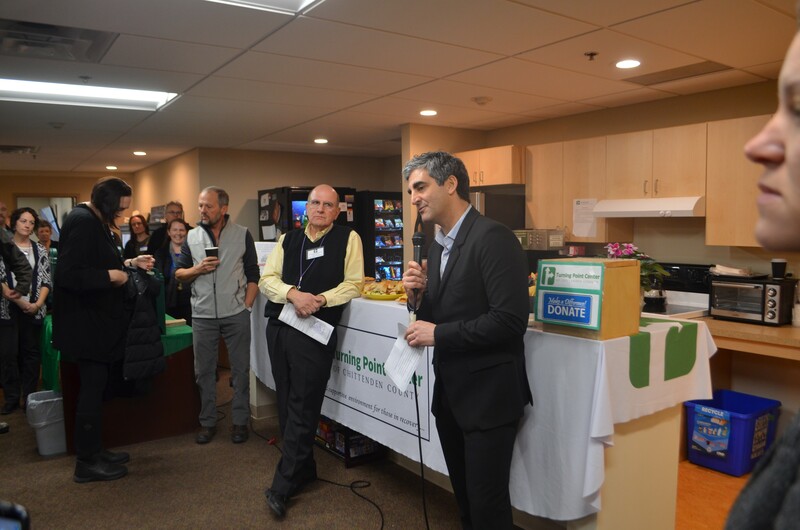 The Turning Point Center of Chittenden County unveiled its permanent new space Tuesday with plenty of fanfare during a celebratory open house. The nonprofit organization provides support for those in recovery from drug and alcohol addiction. It's in the process of purchasing the building, at the intersection of King Street and South Winooski Avenue, from the Champlain Housing Trust for $850,000, according to the center's executive director, Gary De Carolis. It's about 60 percent larger than the former location above Phoenix Books on Bank Street, De Carolis said. The center has already completed $350,000 worth of renovations, building an art studio, spaces for yoga and meetings, offices, and a kitchen. Turning Point's 14 staff and roughly 30 volunteers moved into the space last month. Burlington Mayor Miro Weinberger praised the "scrappy, resourceful organization" working on the front lines of the opiate crisis. Weinberger served as chair of Turning Point's board in 2011 before he was elected mayor. While challenges remain, Weinberger said that progress was being made to make treatment more accessible. "We are starting, I believe, to reach a turning point in this, if you will," he quipped. Visitors and supporters filtered through the place. Tables overflowed with food and held bowls of punch with heart-shaped ice cubes. A portion of the funds for the expansion came from those mourning the death of Madelyn Linsenmeir, a Vermont woman who died in October. Her obituary frankly described her struggle with drug addiction, and it resonated with families around the world. It suggested contributions to Turning Point Center. About $18,000 flowed in from 337 people, said De Carolis. Turning Point dedicated a room to Linsenmeir in honor of those donations. 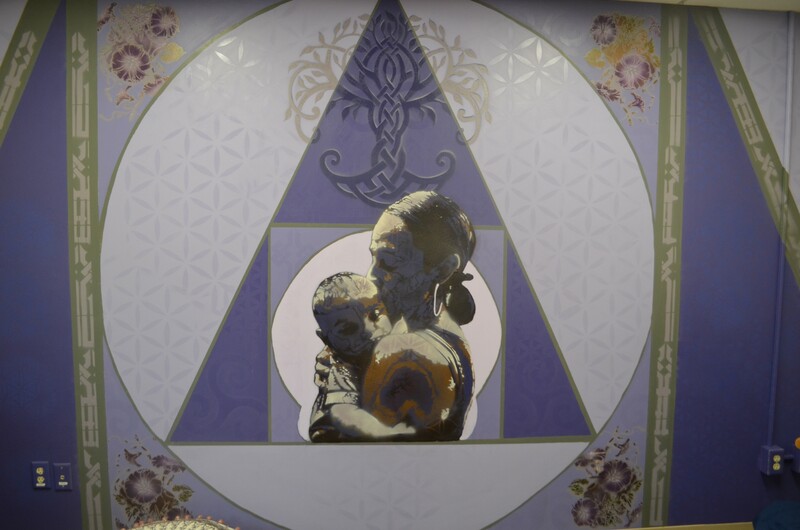 Sloan Collins, Linsenmeir's cousin, painted a mural — a stenciled image of Linsenmeir cradling her young son, Ayden. Above her stands the tree of life, a design she had worn as a tattoo. Seven Days has hired Kate O'Neill, the author of the obit and Linsenmeir's sister, to report on Vermont's opiate epidemic.